You’ll need 6 bamboo skewers for this recipe. STEP 1 Cut chilled lettuce into small bite-sized pieces. Using a vegetable peeler, slice cucumber lengthways into thin ribbons. STEP 2 Spread bread with butter or margarine then spread with cranberry sauce. Cut each slice into 4 squares. 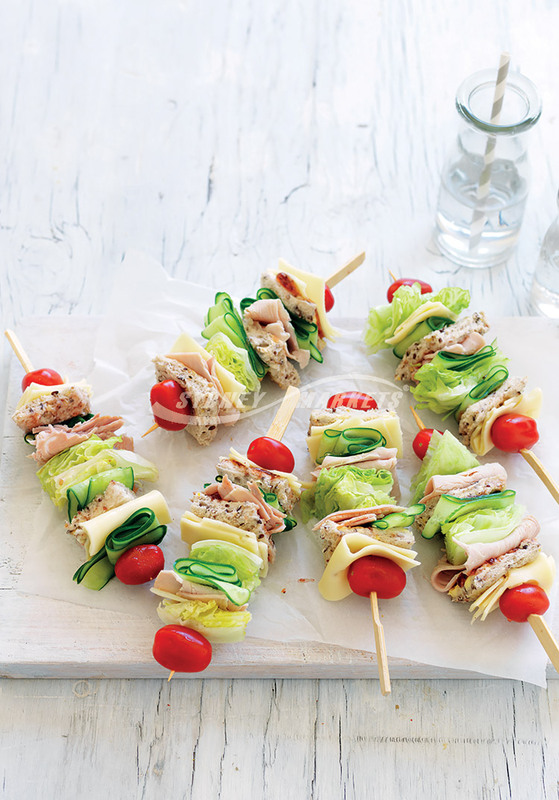 STEP 3 Thread tomatoes, bread, turkey, cucumber ribbons, cheese and lettuce onto 6 thick bamboo skewers and serve. Tip: For younger children, trim the pointy end of the skewers.